From time to time, we like to revisit a region already covered in our games, and change things around, or add a new route. You can look forward to such retouches appearing especially in Europe later this year ;). 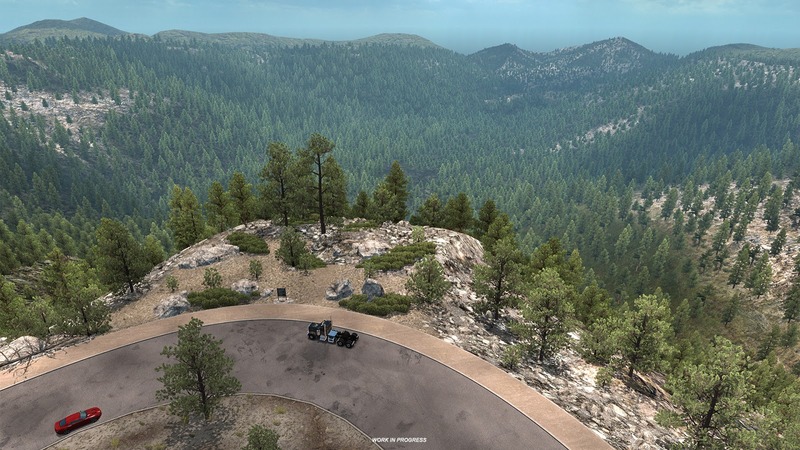 For today, we would like to show you a new route that we are adding to American Truck Simulator's California. With the scale of our worlds compared to reality, we simply have to focus on major road arteries to form the road network. There is usually not enough room to even think about squeezing in any lesser roads. But we enjoy making exceptions and based on feedback from our fan community, so do the players. We have noticed a bit of empty space next to the Sierra Nevada, did a little research, and felt that it would be a great opportunity for one of our new map designers do cut his teeth designing a pass across the mountain range. 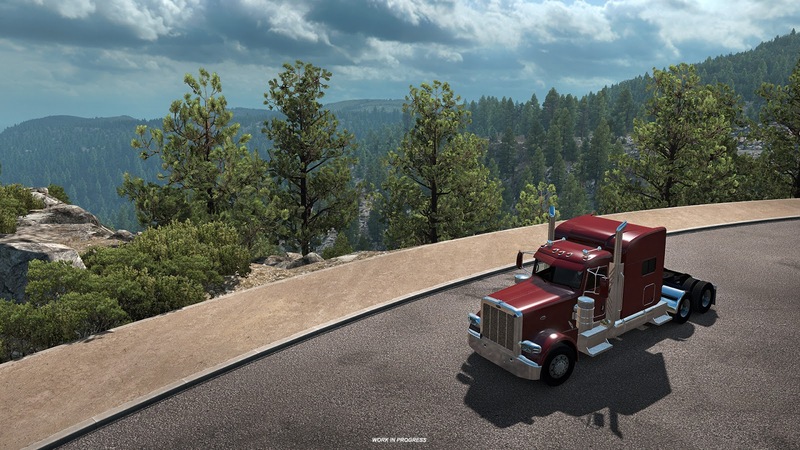 There was just one small problem - typically commercial trucking is restricted in US national parks! 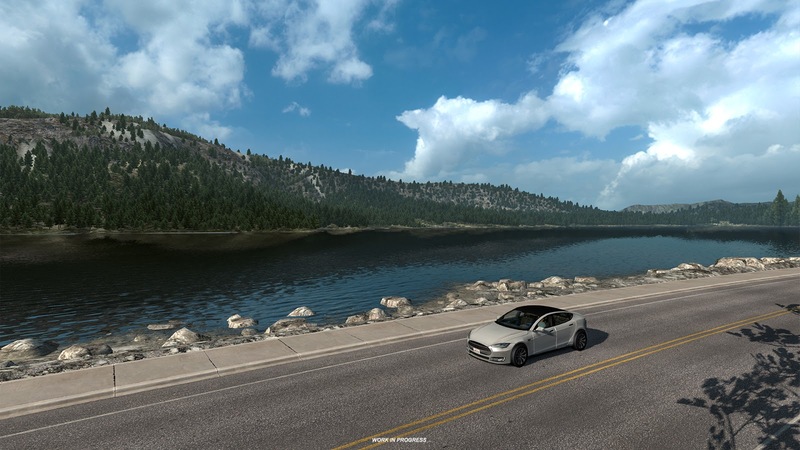 Still, this region is so scenic and the task was so tempting, we decided to give it a go, and to find an excuse in the game for allowing the player to travel across the mountain pass. The national park in question is considered one of the most beautiful and possibly scariest of them all. But no need to fear. While it's home to many legends and mysterious creatures - be it Wendigos, Seeahtiks, various ghosts or famous Bigfoot – all the encounters took place far away from the road on which you'll travel. The road in question is one of the very few connections leading through this territory, as almost 95% of this area is considered wilderness. Its designation is CA 120 - the famous Tioga Pass. 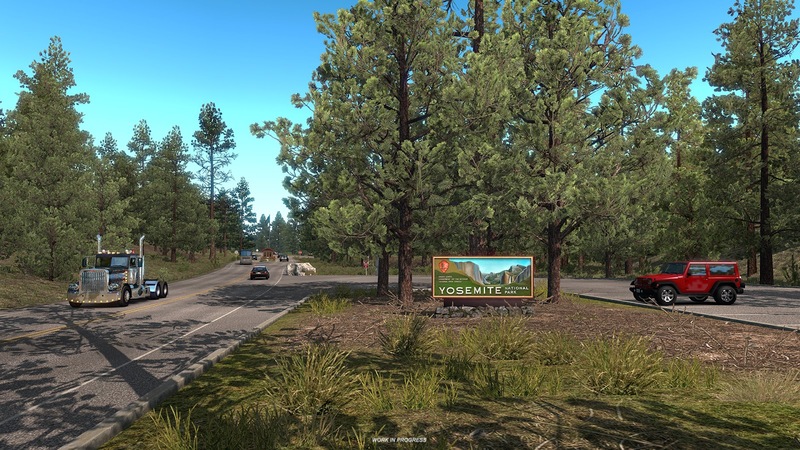 If you immediately thought that we were talking Yosemite National Park, you were right. 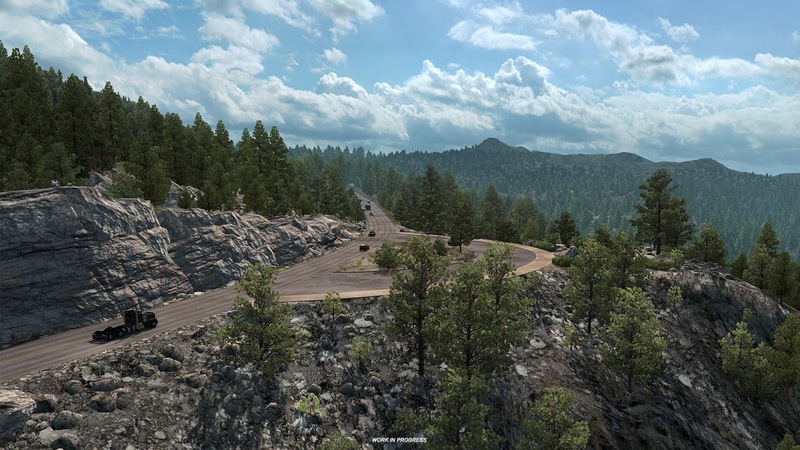 The new route is coming in the next update of ATS, the upcoming version 1.31. 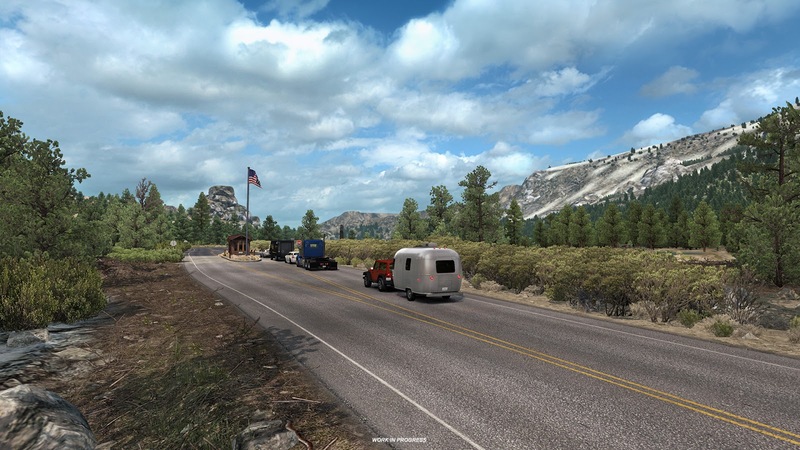 This addition to the game map, as well as many other small and not so small touches and additions to California, Nevada, and Arizona, will, of course, appear in the game for free for all the game owners, as a small token of gratitude for the loyalty of our fantastic trucking community!